Speakers gave messages on the topic of inspiration at TEDxRexburg Saturday night, and, in one case, a message of villainy. TEDxRexburg brought members of the community together to listen to eight speakers share ideas, projects or messages they are passionate about. Speakers included MichaelBrent Collings, Emily Curtis, Layne Kurtamus, Ryan Harris, Preston Pugmire, Carol Sevy, Jennifer Saunders and Stuart Draper. Although each speaker delivered a different message, the overall theme was the same. “They taught us how to be what we want to be and helped influence us to be the best we can be,” Rowlan said. According to his website, Written Insomnia, Collings is a bestselling horror writer and screenwriter. “He has been working with words for over two decades, and for the last ten years has provided writing assistance to more people than he can remember,” according to Collings’ website, Written Insomnia. Collings was the opening speaker. His speech titled Confessions of a Super-Villian: The Psychosis of Lies aimed at why he believes we are all superheroes in our own way. Simply getting out of bed can make you a superhero. Collings continues to share his message with people despite struggles with mental illnesses. “I look forward to sharing my message of villainy with them,” Collings said. Rexburg was appealing to Collings as a place to give a TEDx talk. An event like TEDx coming to Rexburg establishes an opportunity for students and community members to learn and grow. For Embree, TEDx brings a unique opportunity: a way to change yourself and the people around you. TEDxRexburg is an annual event. 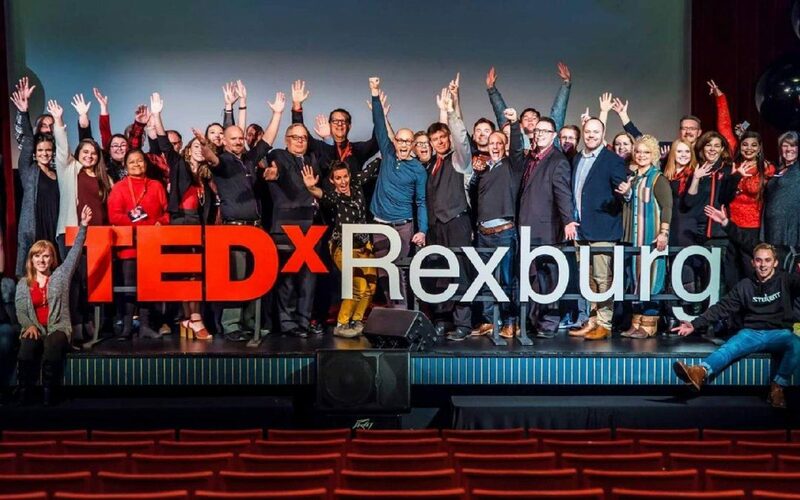 Learn how to become the next TEDxRexburg speaker. Photos and video can be found on their website as well as information on how to get involved.